Please feel free to ask your questions and post comments about the NP-100v12: DIY 12AU7 (ECC82) Tube / IRF510 MOSFET Headphone Amplifier project in this thread. Before you post and ask your question, please search this thread. The search box is located at the bottom left hand corner of the page. This search box will only search this thread. In the attachment below the search box is circled in red. Very nice project. It's a nice convenience that it runs at 12V (13.8 nominal?). I wonder if there is any advantage to running the tube plate at a higher voltage? What is the gain of this project? I've built the Millet Max and usually keep it on my desk at work - I wonder how this project compares; I certainly have some 12AU7's in my lil' tube inventory. Hi Mike, welcome to the forum. For purpose of the NP-100v12 the 12AU7 tube will be used in a common cathode configuration, and the incoming signal will be amplified by approximately 10dB. 10dB is ~ 3 times. Yes, you can achieve better linearity at higher voltage, but that is a completely different beast that will require a high voltage power supply. You can probably build this amp with the leftover parts from your millet build. I know when I order from mouser of digikey I always order extra stuff. Not sure if you have experience etching, but this project is a great way to learn. The project is designed for those who want to get into tubes, but are either cautious with high voltage, or maybe looking for something to build after a cmoy. It makes a great amp for listening to the computer at night. I came home from work and found a suitable project box and now I'm kitting it up now. Hopefully I'll have another version of it up by this weekend. The Millet-Max works fine, but I'm always up for testing out and playing with new projects. I'm thinking of adding the few extra components to provide a power-on delay (20 to 30 seconds). Would that be a useful addition? Probably can be done more simply, but I have the parts (or substitutes) and it's quite bulletproof. 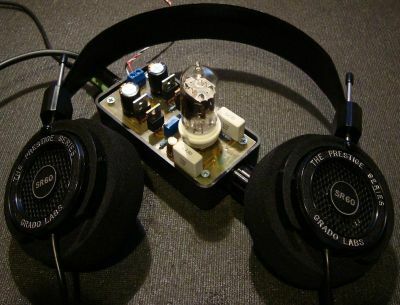 To the Head-fi DIY people, build this one, you'll be very pleased. I've got ver. NP-100v12 runing ( tested ) for a while and must say i'm really satisfied with the sound. One of the important things in this amp. is the CCS. 1) can i power it from a regulated 24V supply?, any modifications needed? 2) How's the sound? any comparison points?